What are You Reading This Summer?! | "Jane Likes to Read"
Please share what awesome books you are reading in the comments! I am WAY overdue in posting! I have been working on a brand new website. Check it out at www.janecookcreate.com and let me know what you think! 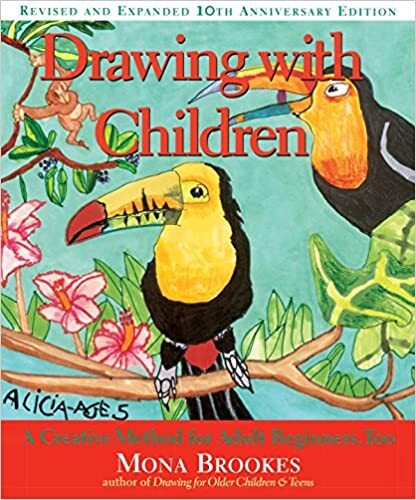 I have been reading some interesting books, especially “Drawing with Children - A Creative Method for Adult Beginners Too” by Mona Brookes. Some of us still have children at home, some of us are focused on grandchildren now. But this book is for you as well! Visual learning can be used both to directly access all subjects and also to support other modes of learning. There are key thinking skills in visual perception are learned through this method of drawing. It is fascinating! Building the skills using this method can improve and make reading, writing and spelling easier to learn! Interesting, huh?! In addition to the importance of expression visually. People are incredibly affected and influenced in the visual realm. We need to encourage our children and ourselves to express ourselves visually/creatively. I also find “creating” of any kind very relaxing and meditative. So, what is this method? She breaks down drawing into 5 simple lines that make up all shapes - the “ABCs” of drawing what you see. Then she give you simple drawing exercises that teach you how to see them and practice drawing them. So many people say, “I can’t draw a stick figure!” That’s because there are 2 types of drawing - the symbolic, like stick figures, and drawing from what you see using these lines. helps each child or person to succeed in drawing. subjects they might be struggling with as well. Have Fun Reading! Be sure and comment below!